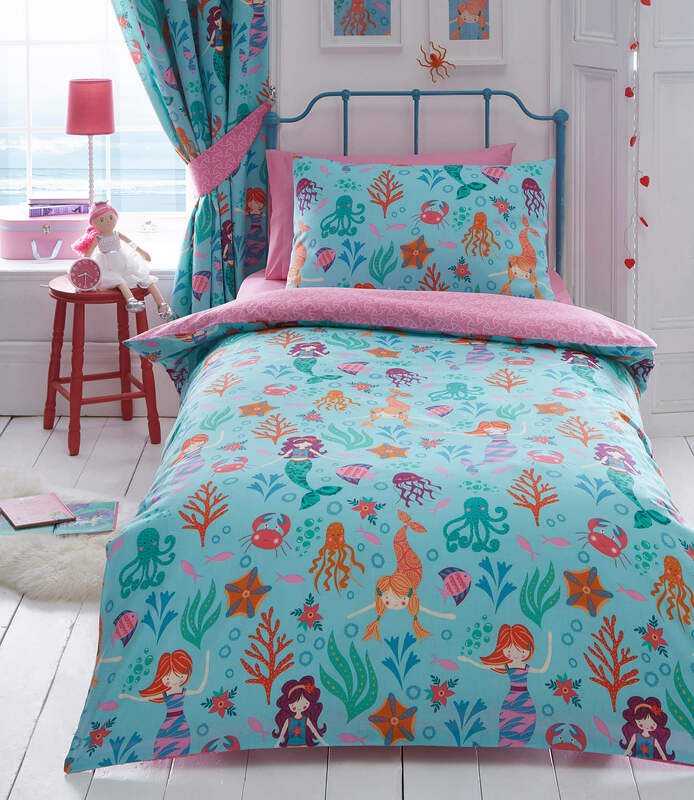 Mermaid Duvet Cover set is full of colours from the sea. Available in Single Double and 66″ x 72″ Curtains lined with pencil pleat tape. This design is reversible. 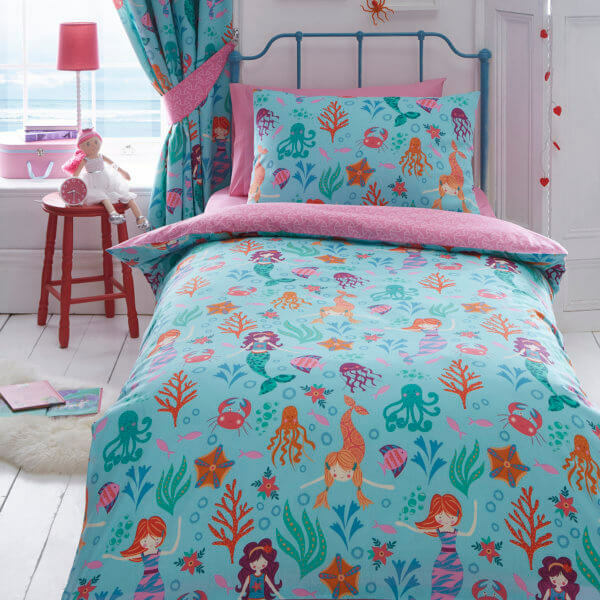 One side has the Mermaid design and the opposite side is bright Pink.